The University of Maryland recently launched a multidisciplinary center that uses powerful computing tools to address challenges in big data, computer vision, health care, financial transactions and more. The University of Maryland Center for Machine Learning will unify and enhance numerous activities in machine learning already underway on the Maryland campus. University of Maryland computer science faculty member Thomas Goldstein (on left, with visiting graduate student) is a member of the new Center for Machine Learning. Goldstein’s research focuses on large-scale optimization and distributed algorithms for big data. Photo: John T. Consoli. Machine learning uses algorithms and statistical models so that computer systems can effectively perform a task without explicit instructions, relying instead on patterns and inference. At UMD, for example, computer vision experts are “training” computers to identify and match key facial characteristics by having machines analyze millions of images publicly available on social media. Researchers at UMD are exploring other applications such as groundbreaking work in cancer genomics; powerful algorithms to improve the selection process for organ transplants; and an innovative system that can quickly find, translate and summarize information from almost any language in the world. “We wanted to capitalize on the significant strengths we already have in machine learning, provide additional support, and embrace fresh opportunities arising from new facilities and partnerships,” said Mihai Pop, professor of computer science and director of the University of Maryland Institute for Advanced Computer Studies (UMIACS). The center officially launched with a workshop last month featuring talks and panel discussions from machine learning experts in auditory systems, biology and medicine, business, chemistry, natural language processing, and security. 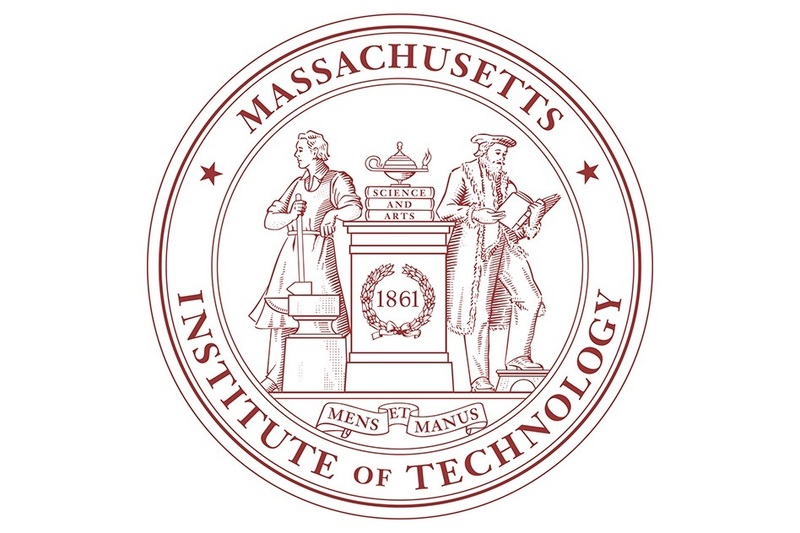 Initial funding for the center comes from the College of Computer, Mathematical, and Natural Sciences (CMNS) and UMIACS, which will provide technical and administrative support. 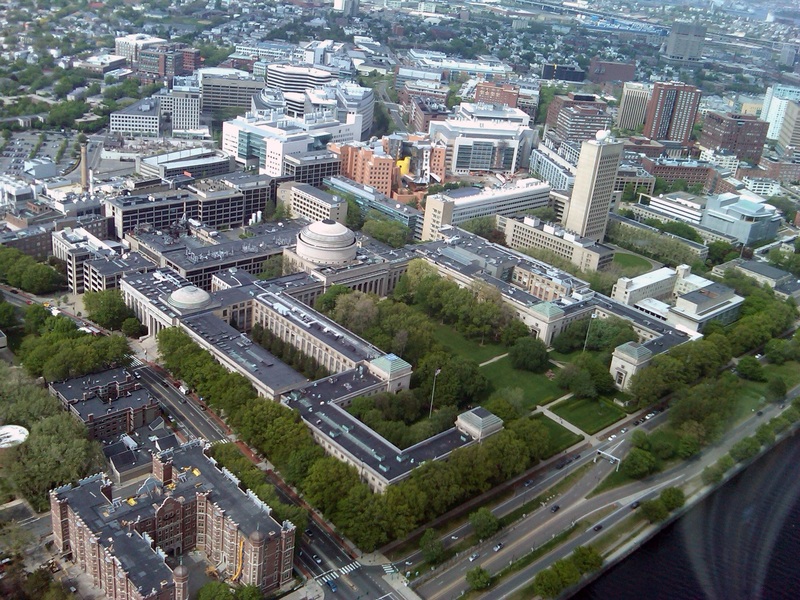 An inaugural partner of the center, financial and technology leader Capital One, provided additional support, including endowing three faculty positions in machine learning and computer science. Those positions received matching funding from the state’s Maryland E-Nnovation Initiative. Capital One has also provided funding for research projects that align with the organization’s need to stay on the cutting edge in areas like fraud detection and enhancing the customer experience with more personalized, real-time features. University of Maryland computer science faculty members David Jacobs (left) and Furong Huang (right) are part of the new Center for Machine Learning. Jacobs is an expert in computer vision and is the center’s interim director; Huang is conducting research in neural networks. Photo: John T. Consoli. David Jacobs, a professor of computer science with an appointment in UMIACS, will serve as interim director of the new center. To jumpstart the center’s activities, Jacobs has recruited a core group of faculty members in computer science and UMIACS: John Dickerson, Soheil Feizi, Thomas Goldstein, Furong Huang and Aravind Srinivasan. Faculty members from mathematics, chemistry, biology, physics, linguistics, and data science are also heavily involved in machine learning applications, and Jacobs said he expects many of them to be active in the center through direct or affiliate appointments. “We want the center to be a focal point across the campus where faculty, students, and visiting scholars can come to learn about the latest technologies and theoretical applications based in machine learning,” he said. Key to the center’s success will be a robust computational infrastructure that is needed to perform complex computations involving massive amounts of data. This is where UMIACS plays an important role, Jacobs said, with the institute’s technical staff already supporting multiple machine learning activities in computer vision and computational linguistics. 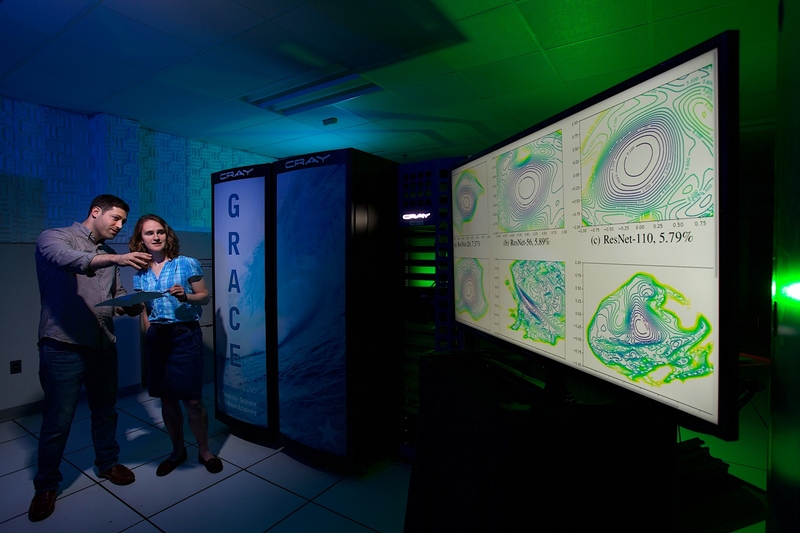 Plans call for CMNS, UMIACS and other organizations to invest substantially in new computing resources for the machine learning center, Jacobs added. The Brendan Iribe Center for Computer Science and Engineering. Photo: John T. Consoli. The center will be located in the Brendan Iribe Center for Computer Science and Engineering, a new state-of-the-art facility at the entrance to campus that will be officially dedicated later this month. In addition to the very latest in computing resources, the Brendan Iribe Center promotes collaboration and connectivity through its open design and multiple meeting areas. 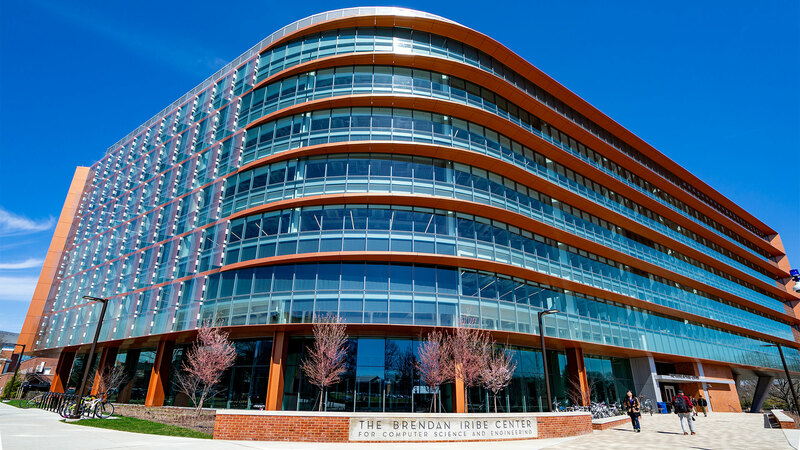 The Brendan Iribe Center is directly adjacent to the university’s Discovery District, where researchers working in Capital One’s Tech Incubator and other tech startups can interact with UMD faculty members and students on topics related to machine learning. Amitabh Varshney, professor of computer science and dean of CMNS, said the center will be a valuable resource for the state of Maryland and the region—both for students seeking the latest knowledge and skills and for companies wanting professional development training for their employees. The thirst for new knowledge is a fundamental and defining characteristic of humankind. It is also at the heart of scientific endeavor and discovery. As we seek to understand our world, across a host of complexly interconnected phenomena and over scales of time and distance that were virtually inaccessible to us a generation ago, our discoveries shape that world. At the forefront of many of these discoveries is the College of Computer, Mathematical, and Natural Sciences (CMNS). CMNS is home to 12 major research institutes and centers and to 10 academic departments: astronomy, atmospheric and oceanic science, biology, cell biology and molecular genetics, chemistry and biochemistry, computer science, entomology, geology, mathematics, and physics. Our faculty are at the cutting edge over the full range of these disciplines. Our physicists fill in major gaps in our fundamental understanding of matter, participating in the recent Higgs boson discovery, and demonstrating the first-ever teleportation of information between atoms. Our astronomers probe the origin of the universe with one of the world’s premier radio observatories, and have just discovered water on the moon. Our computer scientists are developing the principles for guaranteed security and privacy in information systems. Our researchers are also at the cusp of the new biology for the 21st century, with bioscience emerging as a key area in almost all CMNS disciplines. Entomologists are learning how climate change affects the behavior of insects, and earth science faculty are coupling physical and biosphere data to predict that change. Geochemists are discovering how our planet evolved to support life, and biologists and entomologists are discovering how evolutionary processes have operated in living organisms. Our biologists have learned how human generated sound affects aquatic organisms, and cell biologists and computer scientists use advanced genomics to study disease and host-pathogen interactions. Our mathematicians are modeling the spread of AIDS, while our astronomers are searching for habitable exoplanets. CMNS is also a national resource for educating and training the next generation of leaders. Many of our major programs are ranked among the top 10 of public research universities in the nation. CMNS offers every student a high-quality, innovative and cross-disciplinary educational experience that is also affordable. Strongly committed to making science and mathematics studies available to all, CMNS actively encourages and supports the recruitment and retention of women and minorities. Our students have the unique opportunity to work closely with first-class faculty in state-of-the-art labs both on and off campus, conducting real-world, high-impact research on some of the most exciting problems of modern science. 87% of our undergraduates conduct research and/or hold internships while earning their bachelor’s degree. CMNS degrees command respect around the world, and open doors to a wide variety of rewarding career options. Many students continue on to graduate school; others find challenging positions in high-tech industry or federal laboratories, and some join professions such as medicine, teaching, and law. 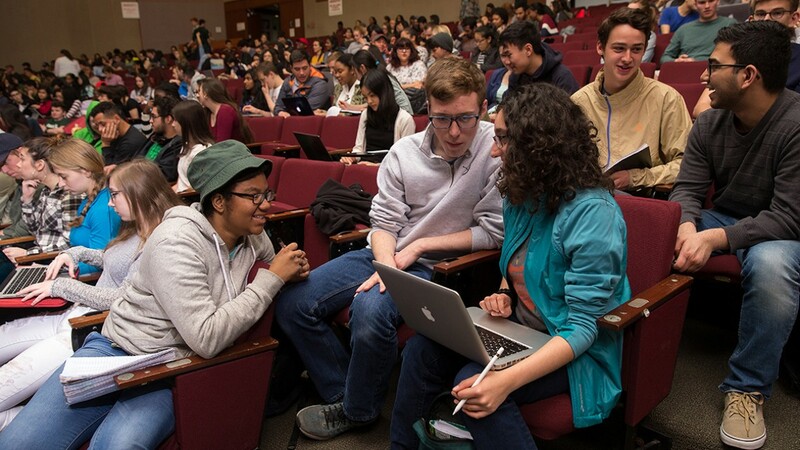 Students work together in Introduction to Evolutionary Biology and Diversity, an Active Learning Initiative course. Cornell Brand Communications File Photo. The initiative aims to improve teaching and learning in groups of courses by introducing active learning and other research-based pedagogies drawn from a variety of disciplines. Two previous grant cycles in 2014 and 2017 focused on projects within the College of Arts and Sciences. Conferences for Undergraduate Women in Physics aims to encourage more women and gender minorities to pursue careers in physics and improve diversity in the field. Nicole Pfiester, an engineering grad student at Tufts University, says she has been interested in physics since she was a child. She says she loves learning how things work, and physics provides a foundation for doing just that. But when Pfiester began pursuing a degree in physics as an undergraduate at Purdue University in 2006, she had a hard time feeling like she belonged in the male-dominated field. In 2008, two years into her undergraduate career, Pfiester attended a conference at the University of Michigan that was designed to address this very issue. The meeting was part of the Conferences for Undergraduate Women in Physics, or CUWiP, a collection of annual three-day regional conferences to give undergraduate women a sense of belonging and motivate them to continue in the field. Pfiester says it was amazing to see so many female physicists in the same room and to learn that they had all gone through similar experiences. It inspired her and the other students she was with to start their own Women in Physics chapter at Purdue. Since then, the school has hosted two separate CUWiP events, in 2011 and 2015. CUWiP was founded in 2006 when two graduate students at the University of Southern California realized that only 21 percent of US undergraduates in physics were women, a percentage that dropped even further in physics with career progression. In the 12 years since then, the percentage of undergraduate physics degrees going to women in the US has not grown, but CUWiP has. What began as one conference with 27 attendees has developed into a string of conferences held at sites across the country, as well as in Canada and the UK, with more than 1500 attendees per year. Since the American Physical Society took the conference under its umbrella in 2012, the number of participants has continued to grow every year. The conferences are supported by the National Science Foundation, the Department of Energy and the host institutions. Most student transportation to the conferences is almost covered by the students’ home institutions, and APS provides extensive administrative support. In addition, local organizing committees contribute a significant volunteer effort. “We want to provide women, gender minorities and anyone who attends the conference access to information and resources that are going to help them continue in science careers,” says Pearl Sandick, a dark-matter physicist at the University of Utah and chair of the National Organizing Committee for CUWiP. Some of the goals of the conference, Sandick says, are to make sure people leave with a greater sense of community, identify themselves more as physicists, become more aware of gender issues in physics, and feel valued and respected in their field. They accomplish this through workshops and panels featuring accomplished female physicists in a broad range of professions. Before the beginning of the shared video keynote talk, attendees at each CUWiP site cheer and wave on video. This gives a sense of the national scale of the conference and the huge number of people involved. Through CUWiP, the organizers hope to equip students to make informed decisions about their education and expose them to the kinds of career opportunities that are open to them as physics majors, whether it means going to grad school or going into industry or science policy. They also reach back to try to make conditions better for the next generations of physicists. At the 2018 conference, Hope Marks, now a senior at Utah State University majoring in physics, participated in a workshop in which she wrote a letter to her high school physics teacher, who she says really sparked her interest in the field. The workshop was meant to encourage high school science and math teachers to support women in their classes. One of the challenges to organizing the conferences, says Pat Burchat, an observational cosmologist at Stanford University and past chair, is to build experiences that are engaging and accessible for undergraduate women. Candace Bryan, a physics major at the University of Utah who has wanted to be an astronomer since elementary school, says one of the most encouraging parts of the conference was learning about imposter syndrome, which occurs when someone believes that they have made it to where they are only by chance and don’t feel deserving of their achievements. Women feeling imposter syndrome sometimes interpret their struggles as a sign that they don’t belong in physics, Bryan says. “It’s important to support women in physics and make sure they know there are other women out there who are struggling with the same things,” she says. Breakthroughs in physics sometimes require an assist from the field of mathematics—and vice versa. In 1912, Albert Einstein, then a 33-year-old theoretical physicist at the Eidgenössische Technische Hochschule in Zürich, was in the midst of developing an extension to his theory of special relativity. With special relativity, he had codified the relationship between the dimensions of space and time. Now, seven years later, he was trying to incorporate into his theory the effects of gravity. This feat—a revolution in physics that would supplant Isaac Newton’s law of universal gravitation and result in Einstein’s theory of general relativity—would require some new ideas. Fortunately, Einstein’s friend and collaborator Marcel Grossmann swooped in like a waiter bearing an exotic, appetizing delight (at least in a mathematician’s overactive imagination): Riemannian geometry. This mathematical framework, developed in the mid-19th century by German mathematician Bernhard Riemann, was something of a revolution itself. It represented a shift in mathematical thinking from viewing mathematical shapes as subsets of the three-dimensional space they lived in to thinking about their properties intrinsically. For example, a sphere can be described as the set of points in 3-dimensional space that lie exactly 1 unit away from a central point. But it can also be described as a 2-dimensional object that has particular curvature properties at every single point. This alternative definition isn’t terribly important for understanding the sphere itself but ends up being very useful with more complicated manifolds or higher-dimensional spaces. By Einstein’s time, the theory was still new enough that it hadn’t completely permeated through mathematics, but it happened to be exactly what Einstein needed. Riemannian geometry gave him the foundation he needed to formulate the precise equations of general relativity. Einstein and Grossmann were able to publish their work later that year. “It’s hard to imagine how he would have come up with relativity without help from mathematicians,” says Peter Woit, a theoretical physicist in the Mathematics Department at Columbia University. The story of general relativity could go to mathematicians’ heads. Here mathematics seems to be a benevolent patron, blessing the benighted world of physics with just the right equations at the right time. But of course the interplay between mathematics and physics is much more complicated than that. They weren’t even separate disciplines for most of recorded history. Ancient Greek, Egyptian and Babylonian mathematics took as an assumption the fact that we live in a world in which distance, time and gravity behave in a certain way. Calculus made some classical geometry problems easier to solve, but its foremost purpose to Newton was to give him a way to analyze the motion and change he observed in physics. In that story, mathematics is perhaps more of a butler, hired to help keep the affairs in order, than a savior. Throughout the history of the two fields, mathematics and physics have each contributed important ideas to the other. Mathematician Hermann Weyl’s work on mathematical objects called Lie groups provided an important basis for understanding symmetry in quantum mechanics. In his 1930 book The Principles of Quantum Mechanics, theoretical physicist Paul Dirac introduced the Dirac delta function to help describe the concept in particle physics of a pointlike particle—anything so small that it would be modeled by a point in an idealized situation. A picture of the Dirac delta function looks like a horizontal line lying along the bottom of the x axis of a graph, at x=0, except at the place where it intersects with the y axis, where it explodes into a line pointing up to infinity. Dirac declared that the integral of this function, the measure of the area underneath it, was equal to 1. Strictly speaking, no such function exists, but Dirac’s use of the Dirac delta eventually spurred mathematician Laurent Schwartz to develop the theory of distributions in a mathematically rigorous way. Today distributions are extraordinarily useful in the mathematical fields of ordinary and partial differential equations. Though modern researchers focus their work more and more tightly, the line between physics and mathematics is still a blurry one. A physicist has won the Fields Medal, one of the most prestigious accolades in mathematics. And a mathematician, Maxim Kontsevich, has won the new Breakthrough Prizes in both mathematics and physics. One can attend seminar talks about quantum field theory, black holes, and string theory in both math and physics departments. Since 2011, the annual String Math conference has brought mathematicians and physicists together to work on the intersection of their fields in string theory and quantum field theory. String theory is perhaps the best recent example of the interplay between mathematics and physics, for reasons that eventually bring us back to Einstein and the question of gravity. String theory is a theoretical framework in which those pointlike particles Dirac was describing become one-dimensional objects called strings. Part of the theoretical model for those strings corresponds to gravitons, theoretical particles that carry the force of gravity. Most humans will tell you that we perceive the universe as having three spatial dimensions and one dimension of time. But string theory naturally lives in 10 dimensions. In 1984, as the number of physicists working on string theory ballooned, a group of researchers including Edward Witten, the physicist who was later awarded a Fields Medal, discovered that the extra six dimensions of string theory needed to be part of a space known as a Calabi-Yau manifold. When mathematicians joined the fray to try to figure out what structures these manifolds could have, physicists were hoping for just a few candidates. Instead, they found boatloads of Calabi-Yaus. Mathematicians still have not finished classifying them. They haven’t even determined whether their classification has a finite number of pieces. As mathematicians and physicists studied these spaces, they discovered an interesting duality between Calabi-Yau manifolds. Two manifolds that seem completely different can end up describing the same physics. This idea, called mirror symmetry, has blossomed in mathematics, leading to entire new research avenues. The framework of string theory has almost become a playground for mathematicians, yielding countless new avenues of exploration. Mina Aganagic, a theoretical physicist at the University of California, Berkeley, believes string theory and related topics will continue to provide these connections between physics and math. The relationship between physics and mathematics goes back to the beginning of both subjects; as the fields have advanced, this relationship has gotten more and more tangled, a complicated tapestry. There is seemingly no end to the places where a well-placed set of tools for making calculations could help physicists, or where a probing question from physics could inspire mathematicians to create entirely new mathematical objects or theories. Zhengwei Liu (left) and Arthur Jaffe are leading a new project to expand quon, their pictorial math language developed to help understand quantum information theory, into new fields from algebra to M-theory. Stephanie Mitchell/Harvard Staff Photographer. Mathematicians work to expand their new pictorial mathematical language into other areas. A picture is worth 1,000 words, the saying goes, but a group of Harvard-based scientists is hoping that it may also be worth the same number of equations. Pictorial laws appear to unify ideas from disparate, interdisciplinary fields of knowledge, linking them beautifully like elements of a da Vinci painting. The group is working to expand the pictorial mathematical language first outlined last year by Arthur Jaffe, the Landon T. Clay Professor of Mathematics and Theoretical Science, and postdoctoral fellow Zhengwei Liu. Last year they created a 3-D language called quon, which they used to understand concepts related to quantum information theory. Now, new research has offered tantalizing hints that quon could offer insights into a host of other areas in mathematics, from algebra to Fourier analysis, as well as in theoretical physics, from statistical physics to string theory. The researchers describe their vision of the project in a paper that appeared Jan. 2 in the journal Proceedings of the National Academy of Sciences. The core team involves distinguished mathematicians such as Adrian Ocneanu, a visiting professor this year at Harvard, Vaughan Jones, and Alina Vdovina. 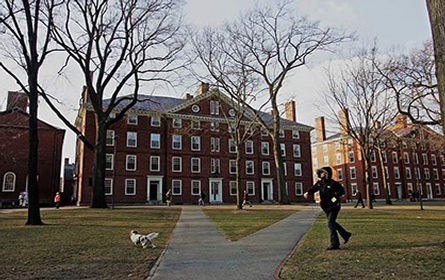 As important are rising stars who have come to Harvard from around the world, including Jinsong Wu from the Harbin Institute of Technology and William Norledge, a recent graduate from the University of Newcastle. Also involved are students such as Alex Wozniakowski, one of the original members of the project and now a student at Nanyang Technological University in Singapore, visiting graduate students Kaifeng Bu from Zhejiang University in Hangzhou, China, Weichen Gu and Boqing Xue from the Chinese Academy of Sciences in Beijing, Harvard graduate student Sruthi Narayanan, and Chase Bendarz, an undergraduate at Northwestern University and Harvard. An illustration of the project is pictured in Lyman Building at Harvard University. Stephanie Mitchell/Harvard Staff Photographer. While images have been used in mathematics since ancient times, Jaffe and colleagues believe that the team’s approach, which involves applying pictures to math generally and using images to explore the connections between math and subjects such as physics and cognitive science, may mark the emergence of a new field. Among the sort of problems the team has already been able to solve, Liu said, is a pictorial way to think about Fourier analysis. “We developed this, motivated by several ideas from Ocneanu,” he said. “Immediately, we used this to give new insights into quantum information. But we also found that we could prove an elaborate algebraic identity for formula 6j-symbols,” a standard tool in representation theory, in theoretical physics, and in chemistry. That identity had been found in an elementary case, but Harvard mathematician Shamil Shakirov conjectured that it was true in a general form. The group has now posted a proof on arXiv.org that is under review for publication later in the year. Another very general family of identities that the group has understood simply using the geometric Fourier transform is known as the Verlinde fusion formulas. “I am very taken by this project, because before this, I was working on quantum information, but the only way I knew to do that was using linear algebra,” said Bu. “But working with Arthur and Zhengwei, we’ve been able to use this pictorial language to derive new ideas and geometric tools that we can use to develop new quantum protocols. They have already been useful, and we foresee that these ideas could have wide-ranging applications in the future. Whereas traditional, linear algebra flattens 3-D concepts into a single line of equations, he said, the picture language allows scientists to use 3-D and higher-dimensional spaces to translate the world around them. For Norledge, the new mathematical language is striking in the way it builds from a handful of relatively simple concepts into a complex theory. The Laboratory participated in an educational outreach event held last month titled, “Engaging Girls in STEM: Making a Connection for Action,” at the San Joaquin County Office of Education facility in Stockton. More than 300 young women in grades 6-12 attended the program, which is part of a statewide initiative to encourage young girls and women to pursue education and careers in science, technology, engineering and math (STEM) related fields. The event was hosted by the San Joaquin County Office of Education, State Department of Education and the California Commission on the Status of Women and Girls. Girls donned 3D googles to take a 360-degree virtual reality tour of the Lab’s National Ignition and Additive Manufacturing facilities. A panel of women working in STEM fields was featured along with an exhibitor fair, showcasing various STEM programs and professions, such as LLNL, Association of Women in Science, CSU Sacramento, San Joaquin Delta College, University of the Pacific, Stockton Astronomical Society and the World of Wonders (WOW) Museum. Occupational therapists, engineers, microbiologists, neuroscientists, physicians and computer scientists also showcased hands-on, industry-based activities. The Laboratory was well represented with a booth that featured 360 degree tours of the National Ignition and Additive Manufacturing facilities via 3D goggles, and a booth with giveaways and information about the San Joaquin Expanding Your Horizons conference for girls, which is now in its 25th year and led and organized by a committee of Lab volunteers. Also featured was the Laboratory’s popular Fun With Science program, presented by Nick Williams, featuring experiments involving states of matter, chemistry, electricity, air pressure, etc. Employee volunteers included Cary Gellner, Carrie Martin, Norma McTyer (retired), Jeene Villanueva along with Joanna Albala, LLNL’s education program manager, who facilitated the Lab’s involvement. STEM Lab volunteers included (from left) Joanna Albala, Jeene Villanueva, Cary Gellner, Carrie Martin, Norma McTyer (retired) and Nick Williams. Roche Sequencing Solutions engineer Juraj Topolancik was looking for a way to decode DNA from cancer patients in a matter of minutes. Rajesh Krishnamurthy, a researcher with the startup company 3i Diagnostics, needed help in fabricating a key component of a device that rapidly identifies infection-causing bacteria. Ranbir Singh, an engineer with GeneSiC Semiconductor Inc., in Dulles, Virginia, sought to construct and analyze a semiconductor chip that transmits voltages large enough to power electric cars and spacecraft. These researchers all credit the NanoFab, located at the Center for Nanoscale Science and Technology (CNST) on the Gaithersburg, Maryland campus of the National Institute of Standards and Technology (NIST). The NanoFab provides cutting-edge nanotechnology capabilities for NIST scientists that is also accessible to outside users, with supplying the state-of-art tools, know-how and dependability to realize their goals. Learn more about the CNST NanoFab, where scientists from government, academia and industry can use commercial, state-of-the-art tools at economical rates, and get help from dedicated, full-time technical support staff. Voices: David Baldwin (Great Ball of Light, Inc.), Elisa Williams (Scientific & Biomedical Microsystems), George Coles (Johns Hopkins Applied Physics Laboratory) and William Osborn (NIST). When Krishnamurthy, whose company is based in Germantown, Maryland, needed an infrared filter for the bacteria-identifying chip, proximity was but one factor in reaching out to the NanoFab. “Even more important was the level of expertise you have here,” he says. “The attention to detail and the trust we have in the staff is so important—we didn’t have to worry if they would do a good job, which gives us tremendous peace of mind,” Krishnamurthy notes. The NanoFab also aided his project in another, unexpected way. Krishnamurthy had initially thought that the design for his company’s device would require a costly, highly customized silicon chip. But in reviewing design plans with engineers at the NanoFab, “they came up with a very creative way” to use a more standard, less expensive silicon wafer that would achieve the same goals, he notes. Singh came to the NanoFab with a different mission. His company is developing a gallium nitride semiconductor device durable enough to transmit hundreds to thousands of volts without deteriorating. He relies on the NanoFab’s metal deposition tools and high-resolution lithography instruments to finish building and assess the properties of the device. Semiconductor device, fabricated with the help of the NanoFab, designed to transmit high voltages. “Not only is there a wide diversity of tools, but within each task there are multiple technologies,” Singh adds. For instance, he notes, technologies offered at the NanoFab for depositing exquisitely thin and highly uniform layers of metal—which Singh found crucial for making reliable electrical contacts—include both evaporation and sputtering, he says. The wide range of metals available for deposition at the NanoFab, uncommon at other nanotech facilities, was another draw. “We needed different metals compared to those commonly used on silicon wafers and the NanoFab provided those materials,” notes Singh. Topolancik, the Roche Sequencing Solutions engineer, needed high precision etching and deposition tools to fabricate a device that may ultimately improve cancer treatment. His company‘s plan to rapidly sequence DNA from cancer patients could quickly determine if potential anti-cancer drugs and those already in use are producing the genetic mutations necessary to fight cancer. “We want to know if the drug is working, and if not, to stop using it and change the treatment,” says Topolancik. In the standard method to sequence the double-stranded DNA molecule, a strand is peeled off and resynthesized, base by base, with each base—cytosine, adenine, guanine and thymine—tagged with a different fluorescent label. “It’s a very accurate but slow method,” says Topolancik. Instead of peeling apart the molecule, Topolancik is devising a method to read DNA directly, a much faster process. Borrowing a technique from the magnetic recording industry, he sandwiches the DNA between two electrodes separated by a gap just nanometers in width. Illustration of experiment to directly identify the base pairs of a DNA strand (denoted by A, C, T, G in graph). Tunneling current flows through DNA placed between two closely spaced electrodes. Different bases allow different amounts of current to flow, revealing the components of the DNA molecule. According to quantum theory, if the gap is small enough, electrons will spontaneously “tunnel” from one electrode to the other. In Topolancik’s setup, the tunneling electrons must pass through the DNA in order to reach the other electrode. The strength of the tunneling current identifies the bases of the DNA trapped between the electrodes. It’s an extremely rapid process, but for the technique to work reliably, the electrodes and the gap between them must be fabricated with extraordinarily high precision. That’s where the NanoFab comes in. To deposit layers of different metals just nanometers in thickness on a wafer, Topolancik relies on the NanoFab’s ion beam deposition tool. And to etch a pattern in those ultrathin, supersmooth layers without disturbing them—a final step in fabricating the electrodes—requires the NanoFab’s ion etching instrument. Take a 360-degree walking tour of the CNST NanoFab in this video! 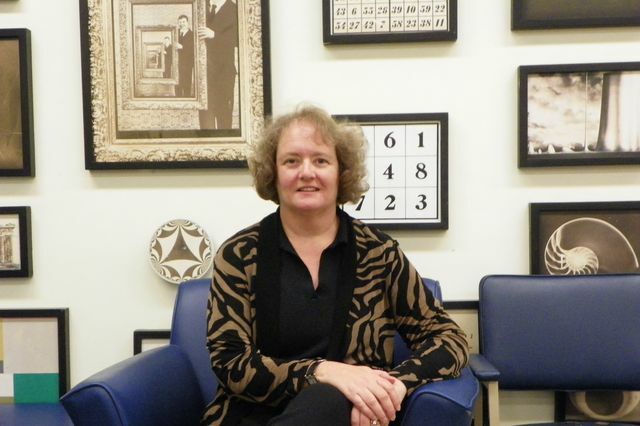 While her grade school classmates were learning the alphabet and how to count to five, Andrea Bertozzi remembers studying negative numbers and modular arithmetic. Math often gets a bad rap as an uncreative left brain-oriented activity, but Bertozzi recalls that, as a child, she was fascinated with it because of its creative potential. One of Bertozzi’s most publicized projects is an ideal illustration of math in action. 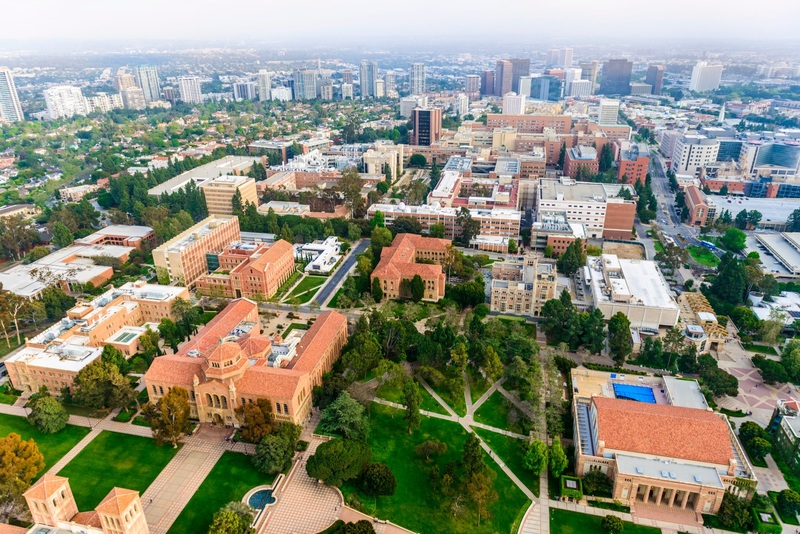 In a partnership with the Los Angeles Police Department, Bertozzi and UCLA anthropology professor Jeffrey Brantingham head a research team that developed a mathematical model to predicts where and when crime will most likely happen, based on historical crime data in targeted areas so that police officers can preemptively patrol these districts. The model they and their team developed based on an algorithm that “learns,” evolves and adapts to new crime data is based on earthquake science. It takes a triggering event such as a property crime or a burglary and treats it similarly to aftershocks following an earthquake that can be tracked by scientists to figure out where and when the next one will occur. Another of Bertozzi’s projects, the deployment of robotic bees, is being done in collaboration with Spring Berman, a robotics expert and an assistant professor of mechanical and aerospace engineering at Arizona State University. 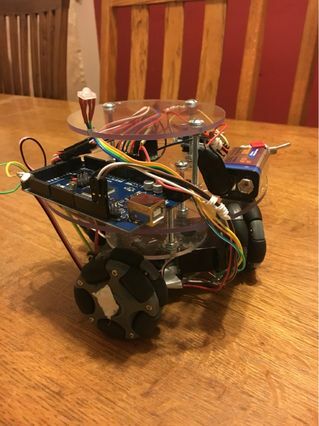 This ground-based robotic bee was developed by undergraduates under Andrea Bertozzi’s direction to test algorithms needed to guide pollinating “bees” to designated plants. Since the late 1990s, the population of bees has plunged because of a combination of factors. Earlier this year, the rusty-patched bumblebee landed on the US Fish and Wildlife Service’s list of endangered species. Without bees to pollinate, humanity runs the risk of losing a wide swath of the world’s flora. One solution that scientists are looking into is the development of robotic bees. That’s where Bertozzi’s creative mathematical abilities come in. Bertozzi and Berman are studying algorithms that would send out a cloud of these robotic pollinators to certain plants. In the applied math lab at UCLA, undergraduates have created earthbound robotic bees to test path-planning algorithms for simple robots without GPS trackers. The group is planning to present the results of testbed simulation “flights” at a conference. Bertozzi isn’t exaggerating when she says she is working on a broad research agenda. Her interest in non-linear partial differential equations and applied mathematics has led to projects in everything from image-processing to cooperative robotics and high-dimensional data analysis. “It turns out that a lot of my recent projects have social components,” she said. 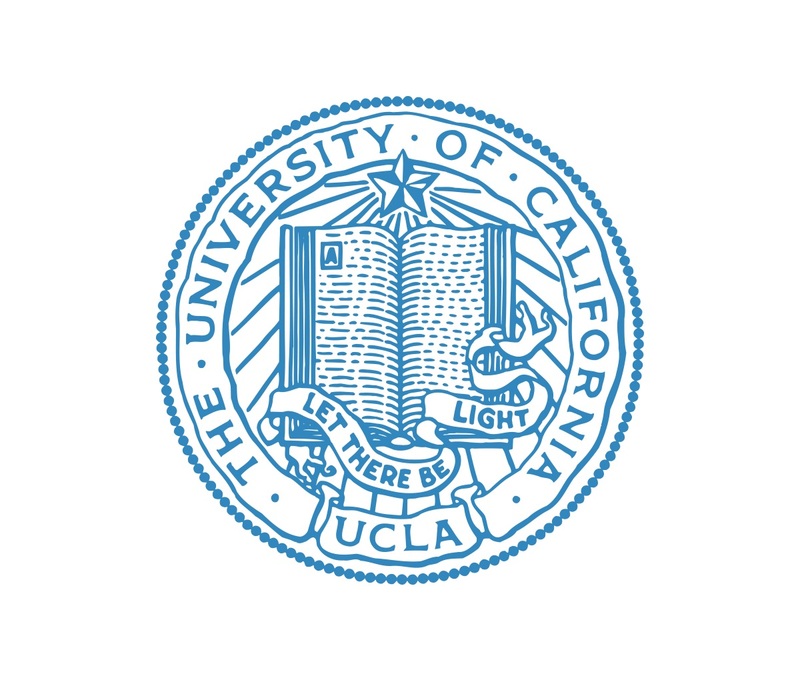 “I have a lot of ideas; we work on those that I can pitch to the funding agencies.” She and her students have used a powerful computer resource at UCLA, the Hoffman2 Cluster, provided by the Institute of Digital Research and Education, to do their complex calculations. Although her research goals are all complex, Bertozzi has a concise philosophy on math. Galileo called mathematics the “language with which God wrote the universe.” He described a picture-language, and now that language has a new dimension. The Harvard trio of Arthur Jaffe, the Landon T. Clay Professor of Mathematics and Theoretical Science, postdoctoral fellow Zhengwei Liu, and researcher Alex Wozniakowski has developed a 3-D picture-language for mathematics with potential as a tool across a range of topics, from pure math to physics. Though not the first pictorial language of mathematics, the new one, called quon, holds promise for being able to transmit not only complex concepts, but also vast amounts of detail in relatively simple images. The language is described in a February 2017 paper published in the Proceedings of the National Academy of Sciences. When it comes to the “language” of mathematics, humans start with the basics — by learning their numbers. As we get older, however, things become more complex. The new language relies on images to convey the same information that is found in traditional algebraic equations — and in some cases, even more. In their most recent work, the researchers moved their language into a more literal realm, creating 3-D images that, when manipulated, can trigger mathematical insights. Among their pictorial feats, Jaffe said, are the complex equations used to describe quantum teleportation. The researchers have pictures for the Pauli matrices, which are fundamental components of quantum information protocols. This shows that the standard protocols are topological, and also leads to discovery of new protocols. “It turns out one picture is worth 1,000 symbols,” Jaffe said. Having found a fit with quantum information, the researchers are now exploring how their language might also be useful in a number of other subjects in mathematics and physics.